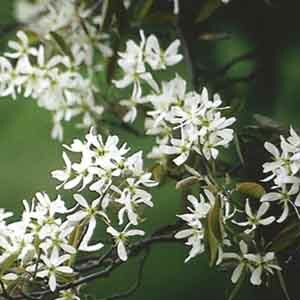 An excellent large shrub or small tree in any landscape. 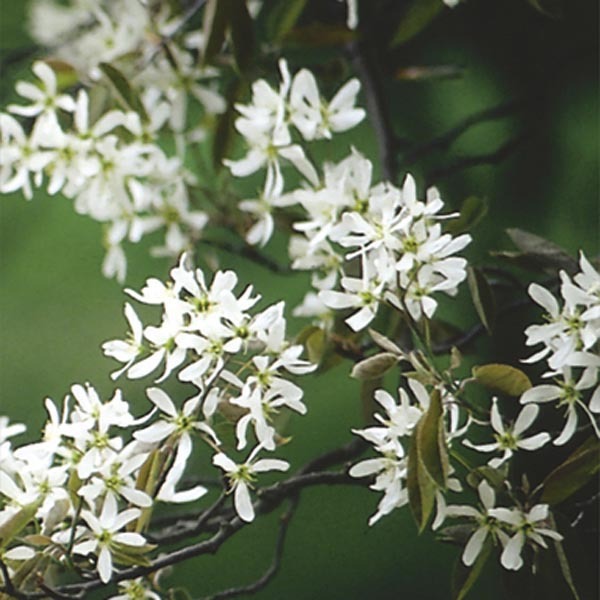 Slightly fragrant white blooms emerge before green deciduous foliage in spring. Blooms are followed by black fruit that is decorative and edible! Outstanding foliage changes to shades of golden yellow in autumn. A classic favorite for landscape focal points. Best used for large scale plantings. Makes a breathtaking specimen plant. Excellent for planting along fences and walls. For best results, plant in acidic, fertile but well-drained soil. Keep soil moist, watering freely in dry weather. Prune when dormant, in late autumn or late winter.